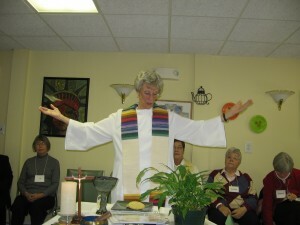 Eucharist is celebrated every Sunday at 10:00 AM. 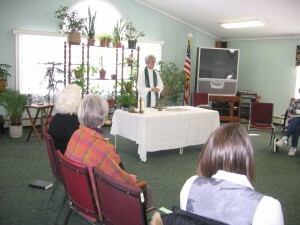 The Liturgy is a Eucharist, and contains innovated prayers and songs. The two most noticeable differences are that we always share in a Shared Homily, and we use inclusive language. Welcome to Sophia Inclusive Catholic Community! 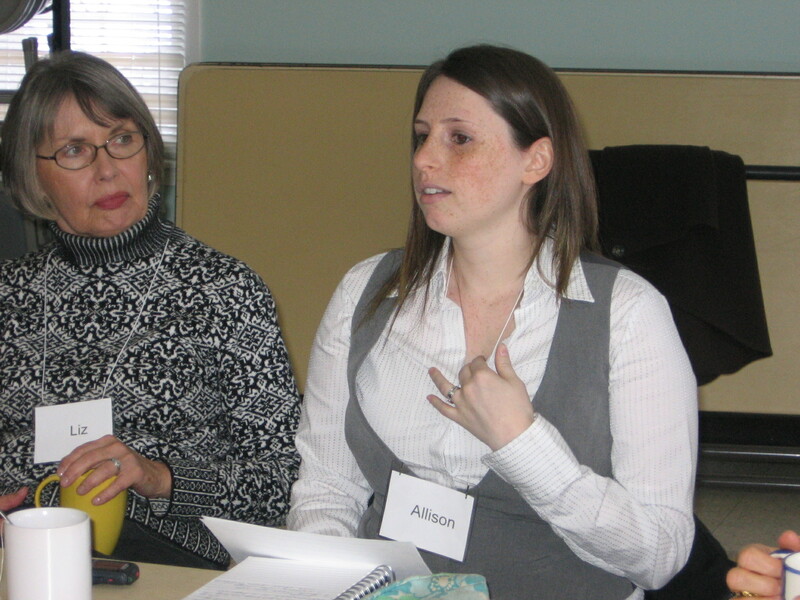 We are a welcoming, inclusive community practicing the discipleship of equals found in early church communities. All gifts are honored and all gifts are offered in service to the People of God. In each of our lives, we seek to bring the joy, light, compassion and peace of Christ to those around us, especially to those most in need. Our liturgies serve as an alternative to the regular celebration of Mass experienced in most parishes. Here is an outline to help you follow our celebration. Inside each song book is an abridged worship aid for your use. We gather to voice intentions for those who need our prayers. Note: “Lord/Christ have mercy” is replaced. We do not emphasize that Jesus died for our sins (atonement theology) but rather that Jesus came to teach us how to live and love in order to bring about the Kindom of God! Wisdom Bowl – as the bowl is sounded we are reminded that our prayers are part of the life energy of prayers throughout our world and the universe beyond. 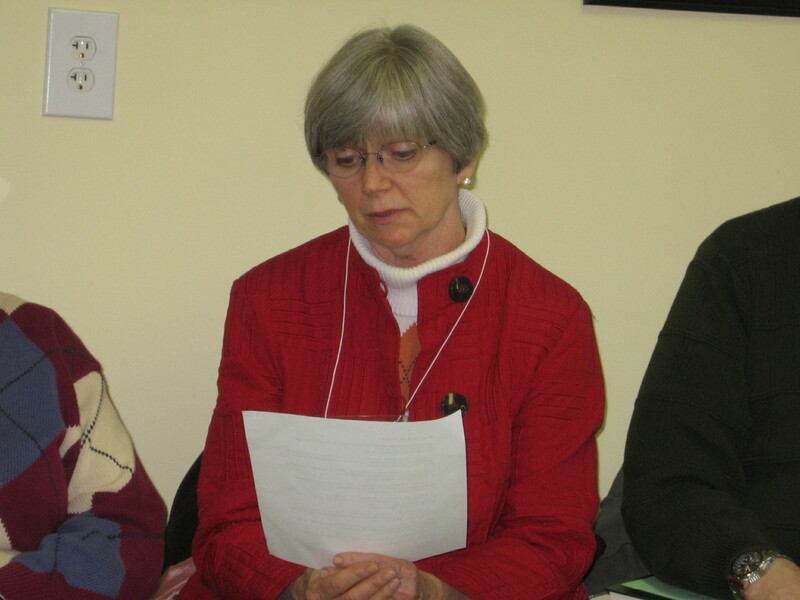 Liturgy of the Word– we use the Inclusive Lectionary from the Quixote Center. From time to time we may substitute a reading from spiritual writers or theologians. Sunday cycle – divided into three years, labeled A, B, and C.
2008 Year A – 2009 Year B – 2010 Year C, etc. Year A – most readings are from the Gospel of Matthew. Year B- most readings are from the Gospel of Mark and chapter 6 of the Gospel of John. Year C- most readings from the Gospel of Luke. The Gospel of John is read during the Easter season in all three years. 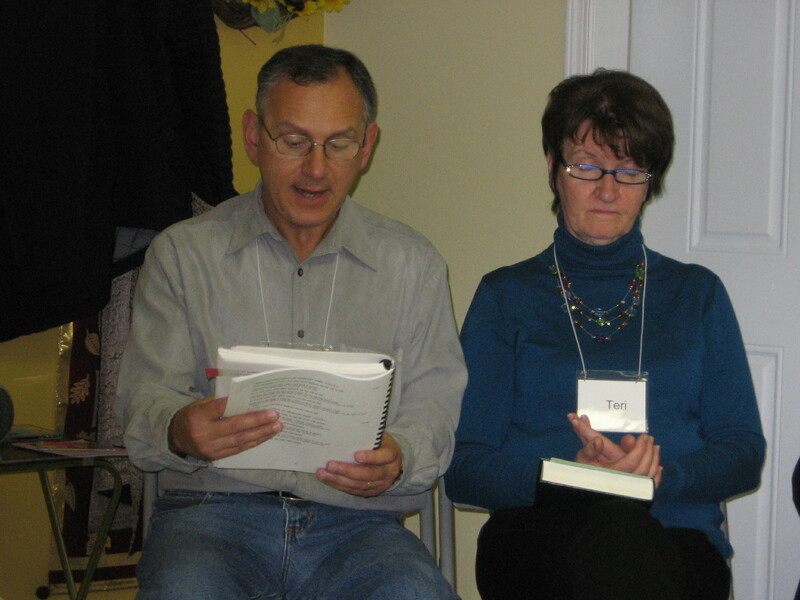 The first reading, usually from the Old Testament, reflects important themes from the Gospel reading. Homily – At the conclusion of the homily (given by the presider or other community member) everyone is invited to share their thoughts on the scripture readings of the day or the homily. Creed – we ocassionally pray an alternative Creeds that are more in line with our beliefs. Prayer of the People – a member of the community will lead the community in this prayer and response. Sign of Peace – our custom is to share peace before we bring up the gifts. This comes from the Gospel in the tradition of Mathew. 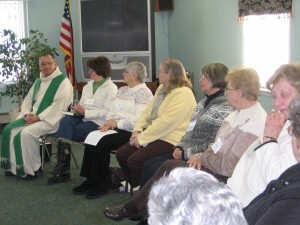 Preparation rite – community members bring up the bread and wine and also lead us in prayer. Blessed are you God….the Bread. Prayer over the gifts – unique prayers are written for the day. Prayer of Jesus – we respect the tradition of this prayer and add “Our Mother” because we believe that the Divine is not relegated to maleness. Deliver us… We respect the traditional response. 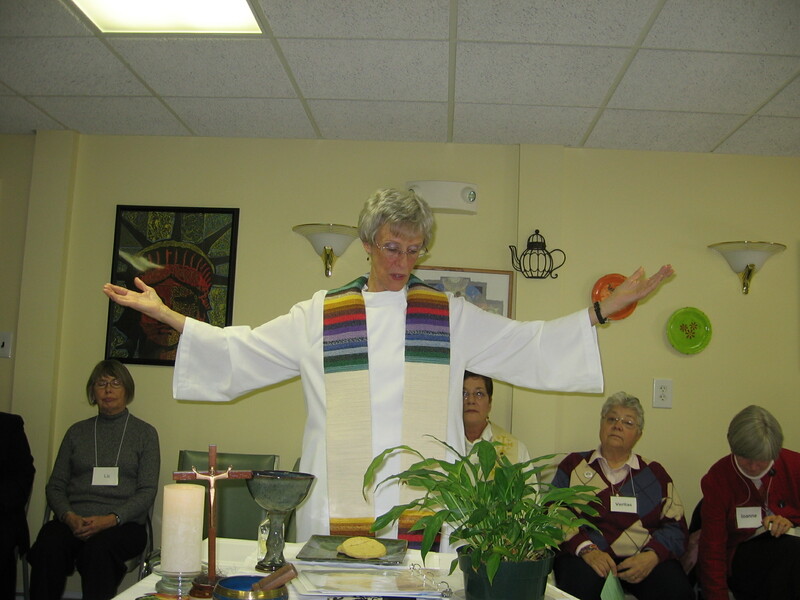 Breaking of the Bread – brief words are spoken to help us to focus on this act. Share Wine – all are invited to share in the alcohol free wine. 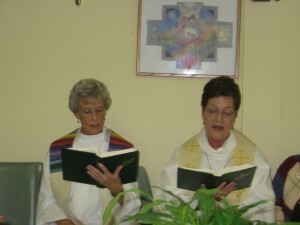 Prayer after Communion – Like the Opening Prayer, unique prayers are written for the day. Announcements – community share upcoming events or any important items needed to be shared. Response: Thanks be to God! 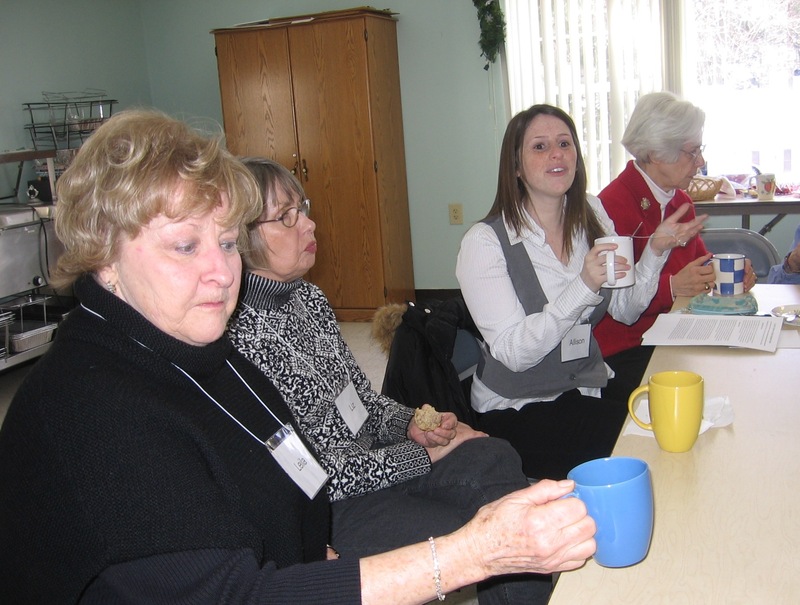 After each of our Liturgies we set aside time, about an hour, when the group can discuss matters of concern regarding our faith, the Church, society, spirituality, etc. This deepens our spiritual connections and promotes individual and community growth. As any organized group, we have business to which we have to attend. 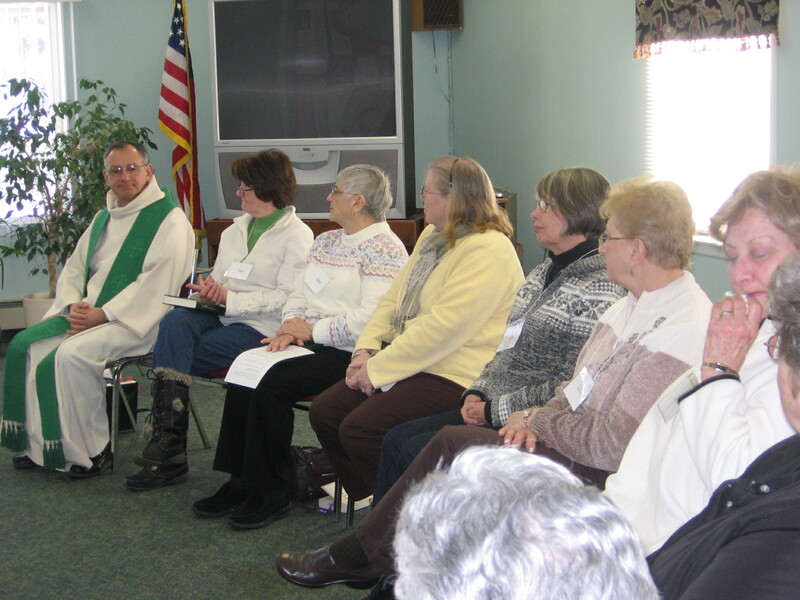 Our Planning Meetings are held after Mass on the last Sunday of each month. All are welcome to participate, and all participate as equals. All have an opportunity to contribute ideas and opinions which lead to the success and health of the community as a whole. The community will be what the members want/need it to be in order to promote spiritual growth and health.